A dual diagnosis involves both a mental health disorder and a substance abuse problem. Alcoholics or drug addicts often struggle with mental health disorders as well. This is also known as a co-occurring disorder, as well as comorbidity. One of the disorders may have caused the other; however, this is not always true. In fact, most of the disorders happen independently of one another. They can pop up at the same time or sequentially. Regardless of the situation, it puts the drug user in a compromising situation. When dealing with an addiction, it’s vital that the mental health conditions are treated at the same time as the addiction. This improves the mental condition of the drug users and alcoholics. It also increases the chances of a successful recovery. It’s easier to regain a balance in one’s brain chemistry. Here’s a more in-depth look at dual diagnosis treatment programs for alcoholism. You’ll find out why this type of addiction treatment is important, and what it can achieve. The percentage of patients seeking drug rehab for a dual diagnosis addiction in the past six years increased from 12% to 16%. From the patients living with a co-occurring disorder, about 34% get mental health treatment. 2% try alcohol rehab or drug rehab, and 12% receive help from a dual diagnosis treatment program. Each recovery center will offer different treatment options. Consider the recovery programs that work best for your needs and lifestyle. A dual diagnosis treatment program aims to guide patients through the recovery process. It treats not only a drug or alcohol addiction but also mental health issues. Patients seek behavioral therapy, counseling and other types of therapy sessions to address the mental health disorders. 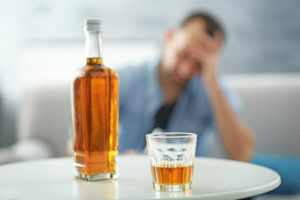 A dual diagnosis addiction involving alcoholism can include many other mental health conditions. It’s not unusual for alcohol addiction to trigger other mental health issues. This is because alcohol affects many chemical pathways in the brain. Depending on the severity of the mental health conditions, intensive outpatient treatment programs or inpatient treatment programs may be recommended. Patients who require a higher level of care will need inpatient treatment programs. Those who can get away with therapy sessions and detox may be able to get away with intensive outpatient programs. Knowing which mental health disorder needs to be treated is an essential part of relapse prevention. Patients who feel stronger and healthier mentally are much less likely to return to drugs. They are more likely to break free from addiction. Gauging whether a drug user is an addict can be difficult. Many heavy drinkers are functioning alcoholics. They can hold steady jobs and perform errands. With that said, it’s even harder to diagnose a dual diagnosis although abuse and mental illness often come in hand in hand. It’s not unusual for many people to overlook the warning signs of a dual diagnosis addiction. Changes in appetite. This can include eating significantly more or less. Difficulties with concentrating or in completing tasks. Mood swings, like increased irritability, anger or depression. Neglect in both personal and professional lifestyles. For a correct diagnosis, all substance abusers must be honest about their situation. This is the easiest way for the recovery center to draft up a feasible and effective treatment plan. 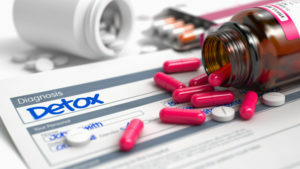 Different treatment options are offered based on the type of coverage provided in one’s health care plan. When attempting to quit drinking, the signs and symptoms of a dual diagnosis addiction may become more severe. If the mental illness is not treated, it can graduate into a severe psychiatric disorder. It can also cause addiction to worsen. Dual diagnosis runs amok among alcoholics. Alcohol can have a significant effect on the brain. Choosing the right rehab is vital in correcting any of these issues that may arise. Attaching to specific receptors in the brain, so certain signals become useless. For example, it can affect dopamine production in some parts of the brain. It causes an increase in dopamine at the reward pathway. This pathway is found in the nucleus accumbens. As a result, alcoholics feel rewarded whenever they drink. After a while, an alcoholic’s brain will become used to the artificial dopamine levels. The mind will yearn for alcohol whenever it is not available. The increase in dopamine also makes it harder for alcoholics to catch a buzz. The only way for an alcohol user to get relief is to drink. These interaction sare why it’s difficult to stop drinking. It’s also the main culprit responsible for alcohol dependence. Adrenaline. The adrenal glands may produce and release more adrenaline due to alcohol consumption. Adrenaline then travels to the brain via the bloodstream. It can easily pass through the blood-brain barrier. GABA. Alcohol’s effect on the GABA system causes feelings of relaxation and drowsiness. Glutamate. A spike in glutamate leads to alcohol effects like memory blackouts and slurred speech. Endorphins. This neurotransmitter is responsible for the “high” that many alcoholics get from drinking. Norepinephrine. Because of this chemical, alcohol can act as not only a depressant but also as a stimulant. Dual diagnosis rehab will measure each patient’s brain chemistry levels. The addiction treatment works to rebalance the body and system. This helps to improve one’s mental health. Serious spikes can cause both physical and psychological withdrawal symptoms. In most cases, only alcohol addiction gets treated. Some patients don’t even realize that they are dealing with a mental health disorder as well. This leaves the mental health disorders free to wreak havoc on the alcohol user’s brain. Since the mental health disorder causes brain chemistry changes, those with a dual diagnosis will have a harder time getting sober. They are more likely to relapse. The brain chemistry changes caused by the mental illness will trigger more intense cravings. Dual diagnosis addiction treatment will restore brain chemistry back to normal levels. This makes it easier to fight addiction. It also improves a patient’s mental state so that they feel happier and more care-free. 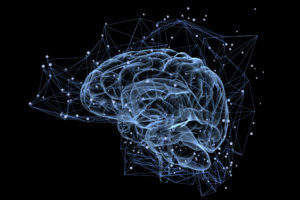 Due to the immense chemical changes in the brain, it’s vital that co-occurring disorders are treated at the same time. At most rehab facilities, alcohol detox comes first. Patients receive medication-assisted treatment to ease physical and psychological withdrawal symptoms. The alcohol detox usually lasts for seven days. After this point in time, the withdrawal symptoms will begin to subside. During alcohol detox, patients also receive therapy sessions to treat the mental disorders. Behavioral therapy, like Cognitive Behavioral Therapy, is one of the more highly recommended therapies. It’s important to look at evidence-based treatment options that will work best for both a substance abuse disorder and a mental health disorder. Treatments backed with more evidence will have a higher success rate. Most dual diagnosis programs also include aftercare programs that prevent relapses. These aftercare programs also help maintain a healthy mental condition. It’s important to note that alcohol users who also abuse drugs will need to be treated for all illicit drugs. Their situation will be more complex, and will require more attention from health professionals. When dealing with both an addiction to alcohol and a mental health disorder, the best route is to seek dual diagnosis programs. These programs specifically deal with co-occurring disorders. They help patients deal with both substance abuse and mental health issues by exploring the relationship between the two disorders. By seeking a dual diagnosis alcohol detox, you’ll find that getting sober becomes a much easier task. Breaking free from alcoholism is not as difficult when you’re not struggling mentally. You’ll find that you’ll become more confident in your own abilities. While you go through recovery, you’ll not only look better but will feel better as well. We offer plenty of different dual diagnosis programs at New England Recovery and Wellness. To determine which one is right for you, we first need to figure out the severity and type of disorders that you struggle with. Some alcoholics may struggle with anxiety and depression, while others may face other types of problems. To get a better idea of how we can help, contact one of our dual diagnosis specialists today. They’ll offer you all the information you need, and point you towards relevant and useful resources about substance abuse and mental health conditions.